The Put-in-Bay Resort and Conference Center is the premier hotel lodging choice of the island. Features include well-appointed guest rooms and villas, a large swim up bar and massive hot tub. Additionally, there are splash pad areas in the front of the Put-in-Bay Villas. Kids and kids at heart will love frolicking in this play space. Also, the resort is proud to be the only Resort that has Conference facilities onsite. Food options are a plenty. Pizza, grinders, wraps, salads and more are highlights of the menu. Also, delivery is available throughout the island of Put-in-Bay. The Italian and Fajita Chicken Grinder are two crowd favorites. Be sure to bring an appetite. The portions are impressive. 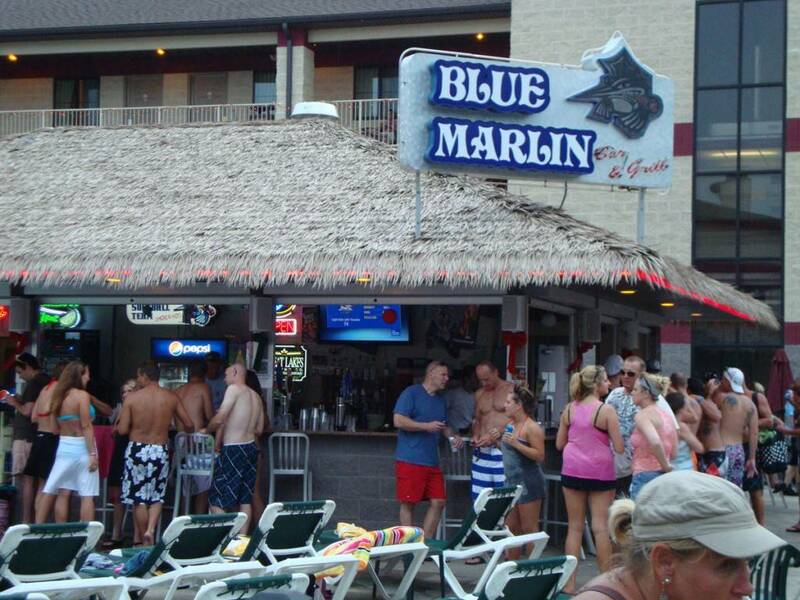 Fuel up for a fun filled day at Put-in-Bay at the Blue Marlin. Another convenient feature of the Blue Marlin is golf cart rentals. Their affiliate, Delaware Carts, is the largest rental company on Put-in-Bay. Oftentimes, the golf carts on the island become scarce. It is not uncommon for golf carts to sell out. So, avoid being left out by Reserving a Golf Cart Now. The best way to experience the island is to stay overnight. Moreover, staying at the Put-in-Bay Resort will provide comfortable accommodations and afford quick access to downtown Put-in-Bay. Also, the resort is a short walk from the Jet Express ferry. So, guests can expect enjoy an excellent location and loads of fun at the Blue Marlin. However, be advised that many dates, especially weekends, book fast. So, Reserve Now to lock in your spot!